It’s boxing vs. MMA at UFC 118 as James “Lights Out” Toney takes on Randy “The Natural” Couture. There has been plenty of trash-talking from James Toney’s end but we will find out come August 28th. 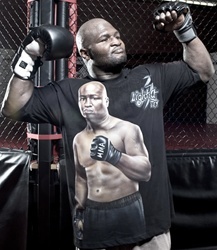 For now, check out the Twistd Apparel James “Lights Out” Toney UFC 118 Walkout T-Shirt!